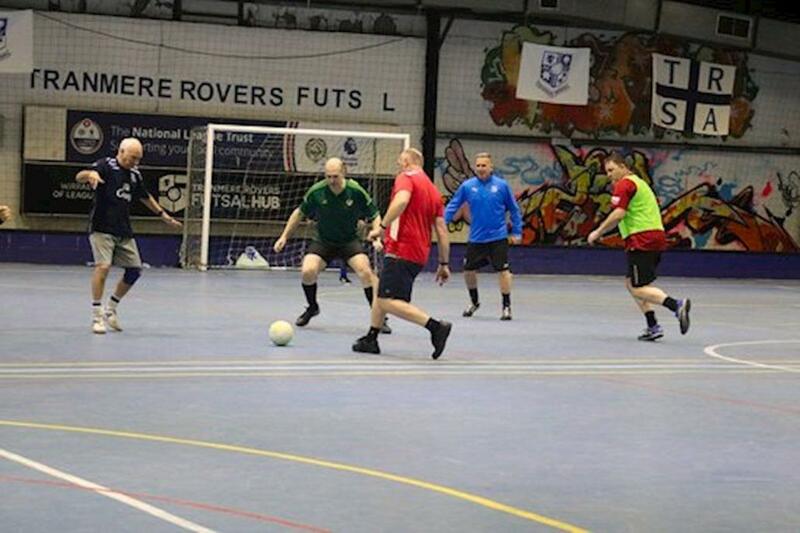 This week is National Obesity Awareness Week and at Tranmere Rovers in the Community, one of their regular Over-40s Football players has opened up about how the exercise has transformed his life. Steve has been coming to the free Over-40s sessions at Prenton Park twice a week for the past eight years and has lost an impressive four stone in the process. “I knew I needed to do something to help myself when I got to my late forties. My doctor said I was heading towards a diabetes diagnosis if I carried on with my diet and exercise habits, so something had to change. “I have never liked being in a gym environment, lifting weights or running on a treadmill for hours on my own. It’s just so boring and hard to keep up with so I thought I’d try a team sport – even though I was never really much good at them when I was in school. “The first time I came to this group, I couldn’t believe that I was surrounded by men who were the same age and even older than me that could run around constantly and play a proper game together. I was absolutely knackered trying to keep up with them! “I’ve been coming here for nearly eight years now and the difference in what I can do is amazing. It’s honestly the best thing I’ve ever done for myself. According to a recent study conducted by University College London, 48% of Britons will be obese by 2045 if current trends are not halted. Obesity can lead to a devastating range of serious health conditions including diabetes and heart disease, as well as increasing the potential of stroke and some types of cancer. “Within a few months of coming I lost a stone in weight, and then once that happened the rest of the weight just seemed to drop off me a lot quicker. Once I noticed that I was losing weight just by getting more exercise it inspired me to adapt my eating habits and have a total lifestyle change really. I stopped eating the unhealthy things like bags of chips and takeaways – not a strict diet but I just became more aware of what I was putting in my body. “The game is no different to when you play as a kid. I used to be rubbish at football, even now I play in defence because I’m so big and just tend to get in people’s way. I didn’t play for about twenty years because I’ve always been not very good but now that I’ve come here that all seems irrelevant. “Age doesn’t matter. When you’re a kid – you enjoy it. When you’re an adult – you enjoy it. Nothing changes even as time progresses. 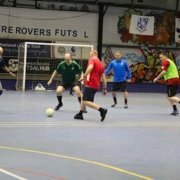 If you are interested in getting fit and healthy this New Year – there are a whole host of fun, community based activities available for people of all ages at Tranmere Rovers in the Community. For further details about any of the sessions on offer you can contact the TRIC Office on 608 2354, visit tranmererovers.co.uk/community or email community@tranmererovers.co.uk for more information.